It is not unusual for an artist to have a muse. One of the most famous Indian artists, M F Husain, had a muse for many years in Bollywood actress, Madhuri Dixit. The movie "The Girl with a Pearl Earring" highlights Vermeer's muse as a maid working in his home. To talk of a few in the contemporary art world include Andy Warhol's The Last Supper inspired by Leonardo Da Vinci's The Last Supper. 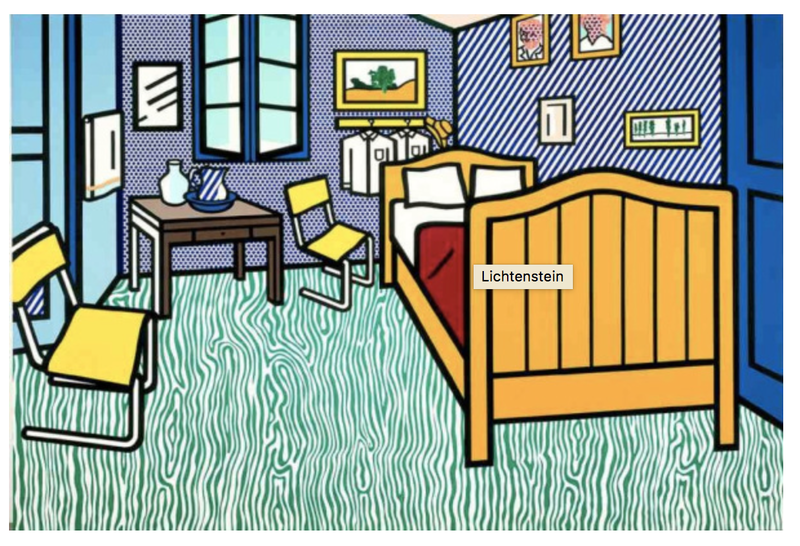 Liechtenstein's 1992 painting Bedroom at Arles is a version of Van Gogh's original from 1888. 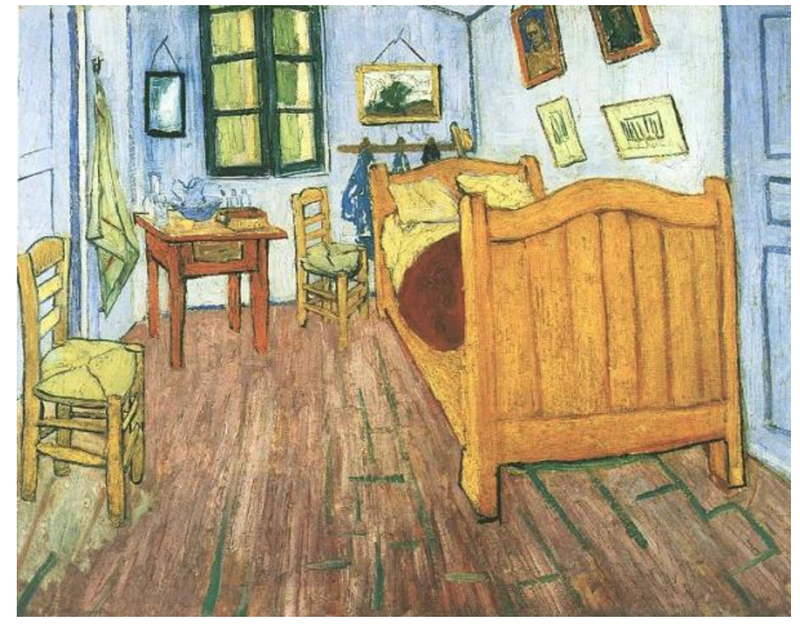 Whether as parody or tribute, many artists have found inspiration in works that have come from others. Even the "Masters" as evidenced by Claude Monet's Le dejeuner Sur l'herbe inspired by Edouard Manet's Le de-jeuner sur l'herbs. 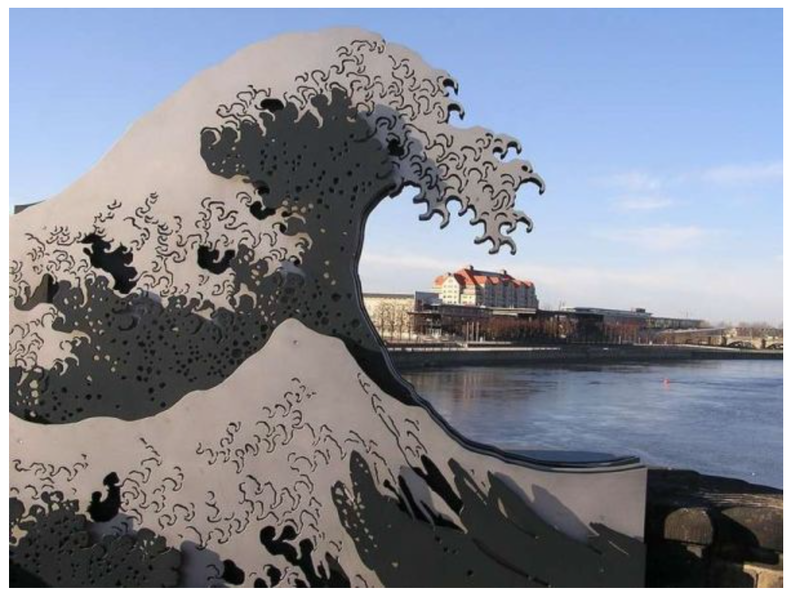 There is a sculpture by Tobias Stengel called Die Woge located in Dresden which commemorates the flooding of the Elbe River in 2002 that is taken from a wood block print by Katsukisha Hokusai called The Great Wave off Kanagawa. And so it goes...We go to museums to be in there presence of great art - to feel, to ponder, to think. Even if you are not an artist who creates actual paintings or photographs; you still come away inspired by the greatness that surrounds you. 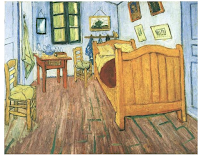 As artists we study color mixes and brush strokes of famous masters to learn and apply to our own works. We study the use of light and darks, the use of space, the use of different mediums... and then... We can't wait to get back into our studios. 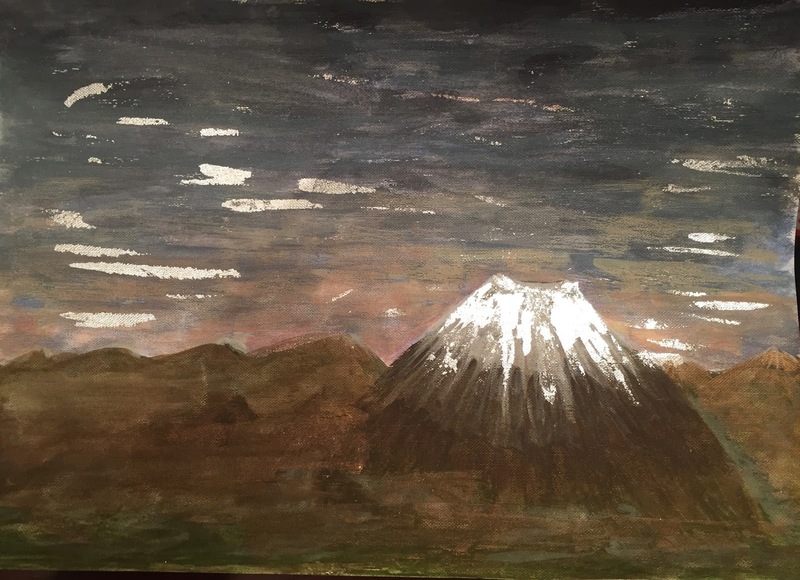 I have been studying the Japanese brush painting art of Sumi-E for the past 2 years with 3rd and 4th generation Japanese Sumi-E artists, Shoko and Seiko Ohta - a mother/daughter team. http://www.toriizakaart.com/Artists/ShokoandSuikoOhta/Available-Shoko-and-Suiko-Ohta/. 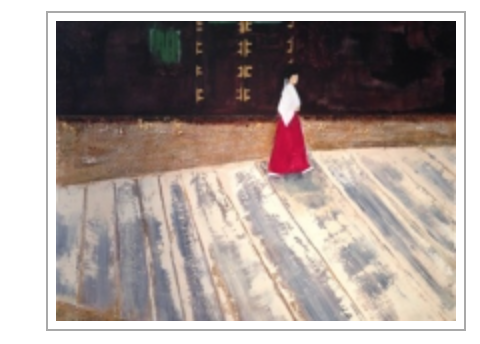 While Sumi-E is typically a black/white based art, the use of the brush to illustrate color is fascinating. 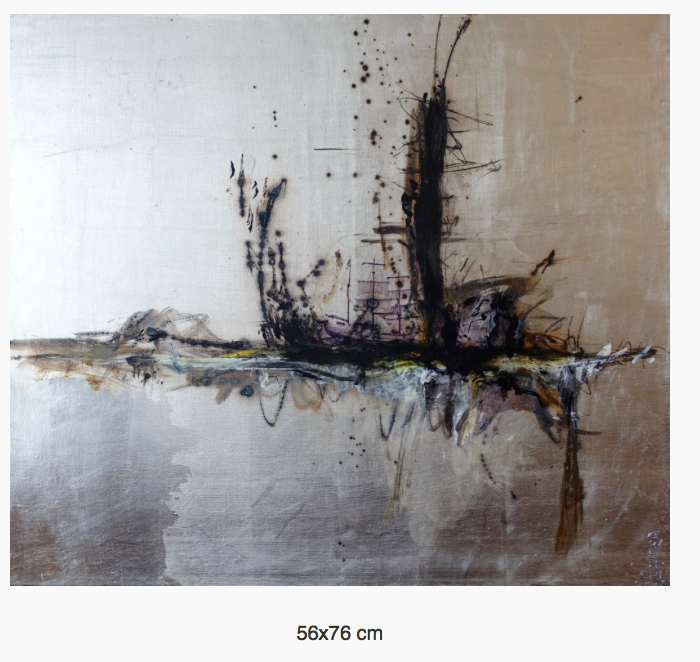 What I love most is the use of gold and silver metallics in the colored paintings. I love way the gold and silver reflect light and highlight the paintings in a delicate, yet very bold manner. 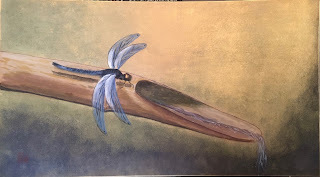 I am finding ways to incorporate this with oil and having great fun! 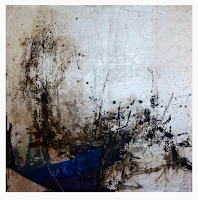 Recently, I have also had the fortune of meeting two artists whose works have given me much to ponder as I approach my own work. Their use of metallics (albeit for different reasons) is refreshing and exciting. 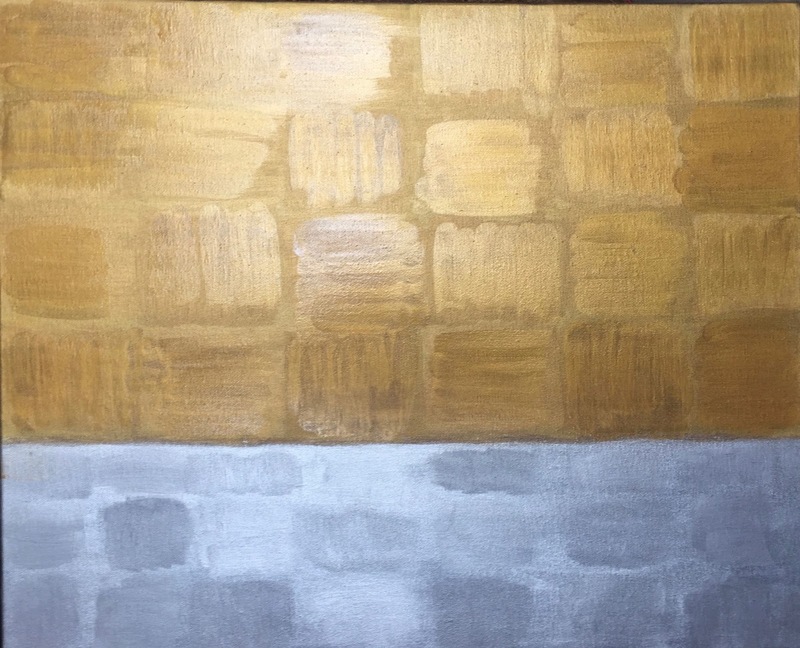 Aude de Saint-Exupery http://www.audedesaintexupery.com likes to work with a metallic palette as it reminds her of the sun and heat. 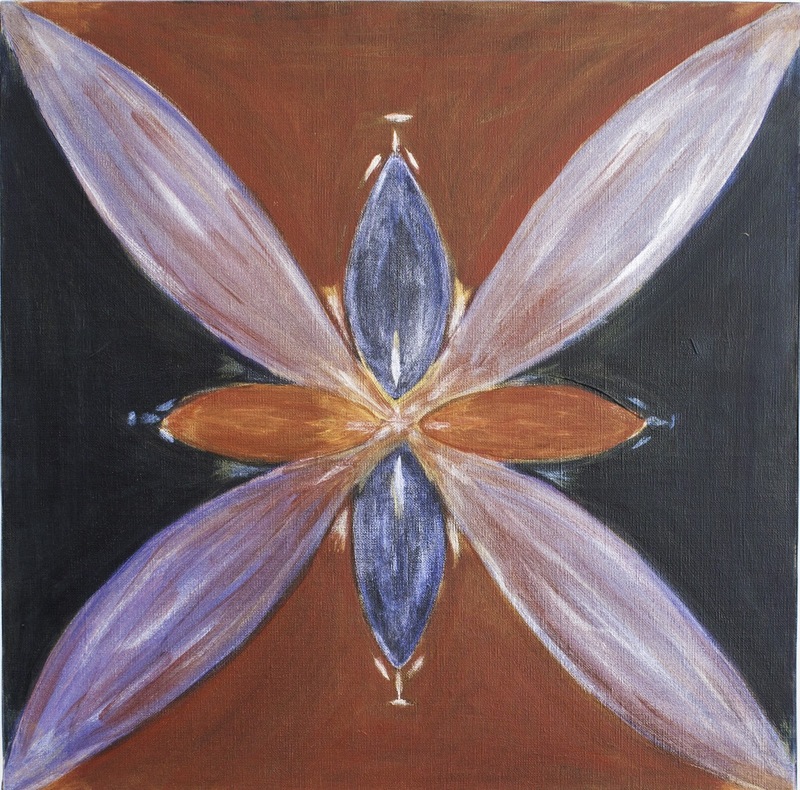 Her work is inspired by her travels and living in Africa, the Pacific Islands and in Asia. She uses metallics to highlight a landscape and/or call attention to detail. Another artist, Gwen Anderson, www.gwenchi.com incorporates silver leaf or aluminum leaf into her collections, which I find to be haunting and intricate. 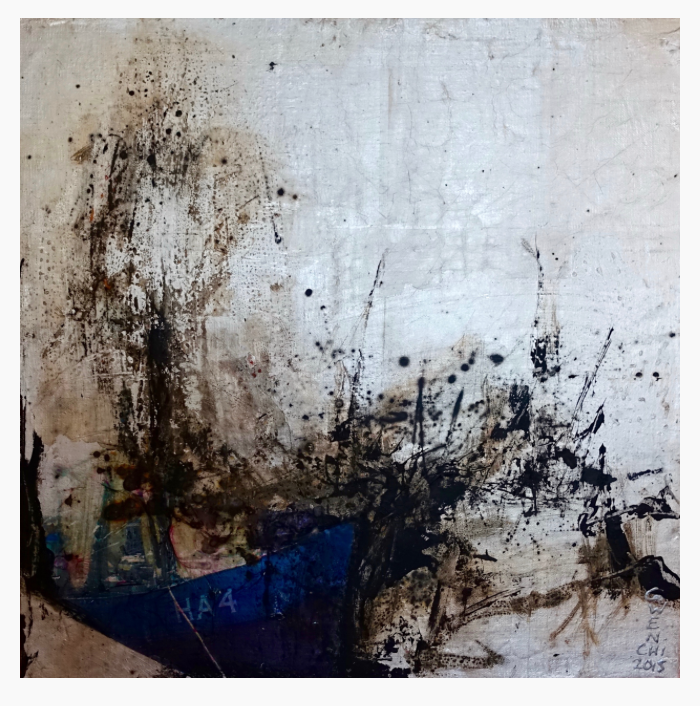 Gwen's work is influenced by her experiences as a child, surviving a shipwreck along with her sister and friends; while losing her father and others. The mental images from this event, which have developed over time, are both "harrowing and beautiful" and an inspiration to her work. In Gwen's works, the corrosive nature of the metals allows for her interpretations to reflect the distortion and change of memories through time. 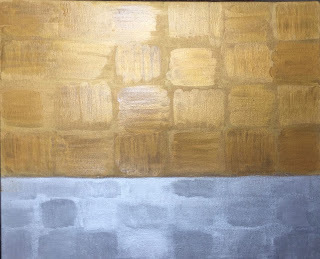 Her use of metallics as a medium is interesting to me as an artist and motivates me to explore use of the color in my own artwork. color in the ship can illustrate the emotion of the memory. backdrop of sea and land. of the memory comes into debate. 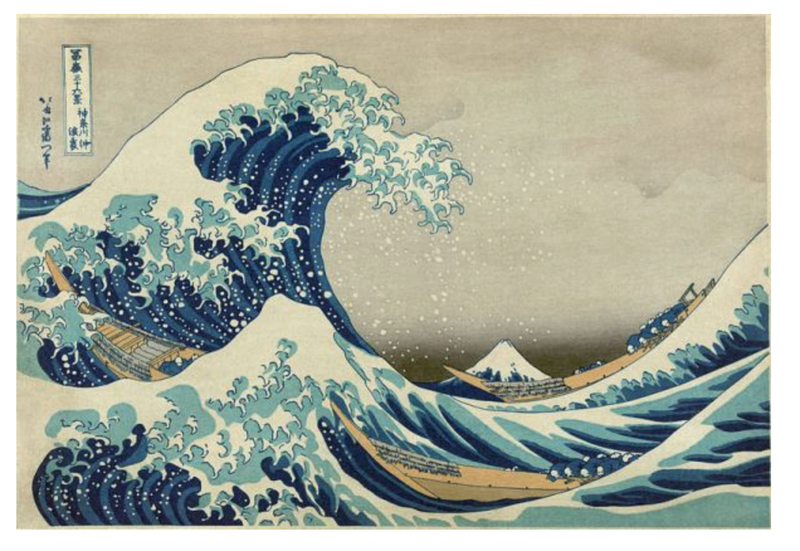 It is my hope that I can bring some of this quality forward in my artwork. 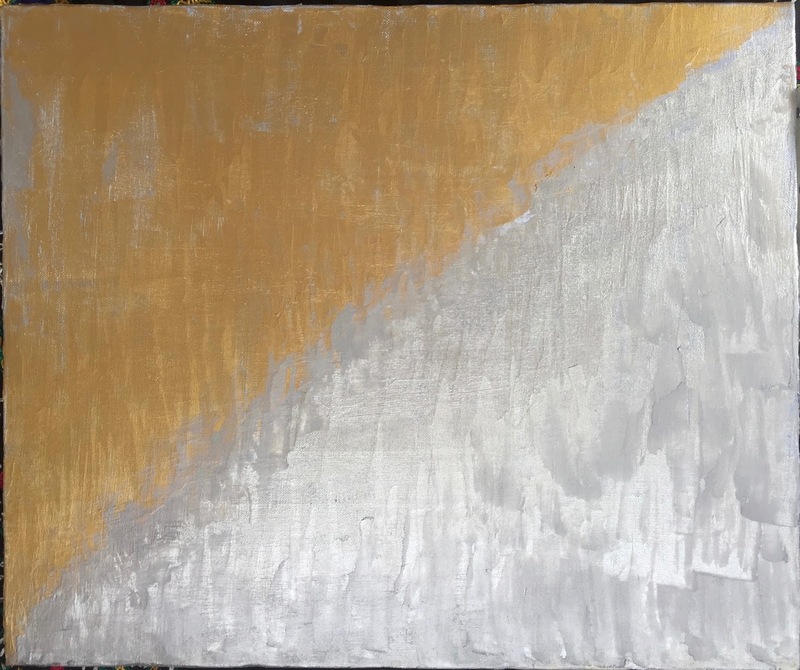 As such, I have been experimenting with the use of silver and gold...below is a metallic abstract I recently completed using 3 colors plus black, white, silver and gold. And now... I can't wait to get back to my studio! Very nice! 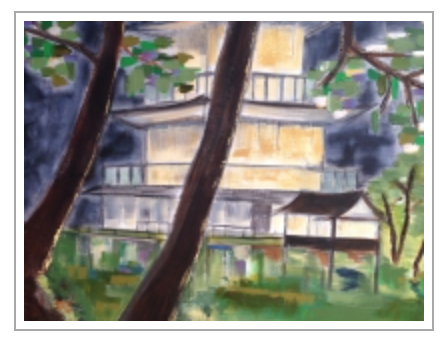 Your write ups are equally great as your paintings/pictures! Be inspired and keep inspiring! 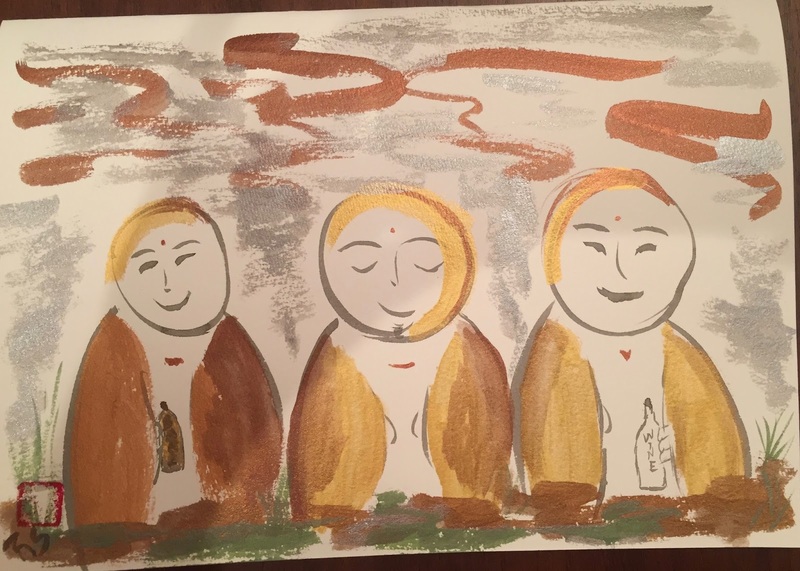 Thank you Rajul, love the post! Really liking the metallics, adds interesting texture. The Blue Dragonfly is my new favorite!